Chinese Zero to Hero is created by Jon Long, Ken Dai and Craig St. Jean. We hope our video courses and online resources will help Chinese learners at all levels and around the world. Reddit is a great platform for sharing ideas and finding Chinese learning gems. We created six subreddits for each HSK level. In each subreddit, you’ll find related videos, grammar/vocab explanations and group projects. 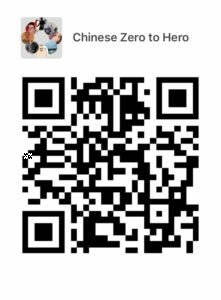 Download the HelloTalk app and scan the QR code to join our discussion group.